This is the hoof print of the desert bighorn sheep in the mud of a small pool of water that was drying up when the sheep stepped into this mud, his weight inadvertently planted the seeds of these small plants. Then there was a light rain that collected just enough water in this print to allow the seeds to grow. Understanding such things gives you a multidimensional awareness that is the traditional knowledge for human being. While it is obvious that an understanding of tracking and reading sign is absolutely crucial to understanding hunting, it is also crucial to understanding the environment whether one hunts or not - indeed whether one is a either hunter or a gatherer. If you cannot read sign you are in essence environmentally illiterate. And like all forms of illiteracy, it is a barrier to knowledge and information. It is also important in understanding ourselves in this modern urban culture. And here we must understand that tracks are by their very essence symbols; a bear print is a symbol that represents the bear whether it's in ancient or modern culture. And so it is that tracking and reading sign is the wellspring from which all symbolism and art is derived and tracking, reading sign, and art would be meaningless without an in-depth understanding of time. For instance, if the hunter comes across a set of bear tracks, these symbols tell him that there was a bear in the immediate area. However, without an understanding of time this information would be of little or no value, and we in the modern culture still use this ability in our everyday life. For instance, if we go to a park where there's a canon or statute of a famous person, this art or symbol is telling us about the past and we in the present are intersecting the past and this art, these “tracks” if you will, are there to influence our future. Here we begin to see that tracking and reading sign is all about deductive reasoning which has been part of our human identity long before Sherlock Holmes. So it is that tracking and reading sign is the basis for all art and written language. Therefore, if we want to understand who we are and our place in the environment as hunter-gatherers we must have an in-depth understanding of tracking and reading sign. While this ancient knowledge is not as common as it used to be, and its absence in our culture is to our detriment, I for one believe it should be taught in our schools. However, it still survives and is practiced by many people even though they live by modern means. This ability to track and read sign is so central to the human experience that it cannot be overemphasized; it requires intellectual attributes that other animals simply don't have. The most important of these is an in-depth understanding of time. 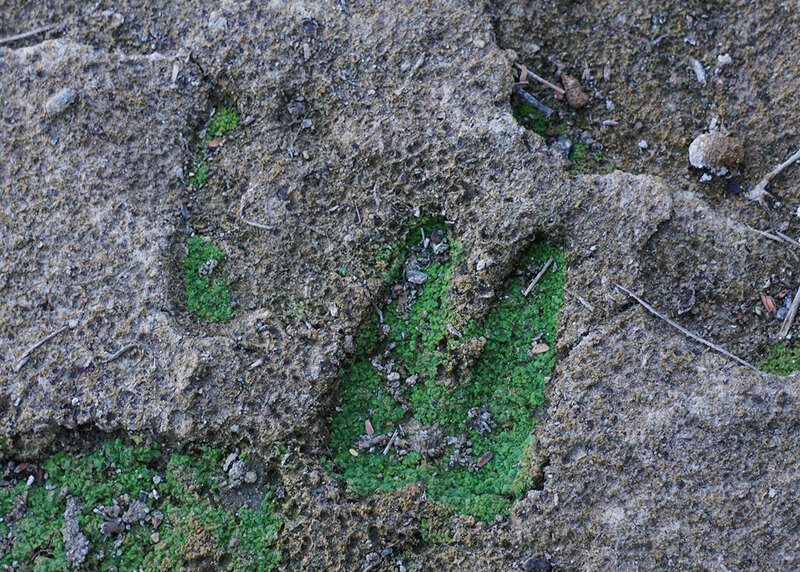 When a human being looks a set of tracks, one of the first things that happens is that they are identified as to what species has made them and then there is a response. It makes a difference if these tracks were made by bear or a deer. And then there is the time factor: how old are these tracks? One would ponder as only a human can what these tracks mean in relation to time. For instance, if these were bear prints that had been made in the last five or ten minutes they would instill a sense of danger in the immediate future. And if they were deer prints that were four or five days old, a ancient hunter might see a bleak future returning to camp to his hungry family empty-handed. And all of this takes an in-depth understanding of past, present, and future as well as the ability to identify these symbols/tracks in their proper context in regards to the rest of the environment. If you're out in the desert without a good pair of binoculars you're walking blind. This lecture explains how a rock’s height and width effect the local environment as well as the desert environment as a whole. This book is simply amazing. It represents a monumental effort taken on by many people. The fact that this book has not been on bestseller's lists is a testament to where our culture now stands.